Premium 70% cocoa, dark hot chocolate - specifically crafted for dissolving into hot milk. Bennetto Drinking Chocolate is the healthier treat - It contains only premium organic cocoa beans, raw sugar and a little vanilla - that&apos;s all! The secret to dissolving the chocolate in milk lies in our own original process. Fairtrade certified, vegan and free of refined white sugar, there are no preservatives or artificial additives. Both our cocoa and sugar originate from sustainable sources, holding the Rainforest Alliance accreditation. The Bennetto Drinking Chocolate bar offers a serving size choice of one, two or three pieces depending on the intensity you desire. 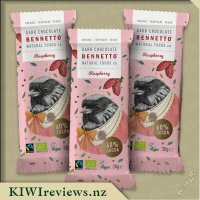 After missing out on this product when it was up for review I jumped at the opportunity to buy some of the bars through Karl and quickly decided they seemed a luxury item that would be perfect to add to Christmas hampers for my mum and mum in law. When they turned up I was so excited to try them and I have to say that I was not at all disappointed! I have also had feedback from those who I gifted some too and they also thought that these hot chocolate drinking bars are simply divine. I heated my milk in the microwave and then added all 3 pieces (figuring I like a decently strong and rich hot chocolate flavour so I would go all out) and gave it a good stir. I don&apos;t think I heated the milk to be quite as hot as it should have been as I did get a few little bits undissolved that floated to the top. In saying that, this didn&apos;t make any difference to the delicious taste and I would rather that then the milk being so hot that I burn my mouth from being to impatient haha! I love the fact that this product is free of refined white sugar and that there are no preservatives or artificial additives. While I certainly don&apos;t claim to eat as healthy as I should, I do and will where and when I can so having this option is perfect. Knowing that this product uses both cocoa and sugar which originates from sustainable sources also makes me feel like I&apos;m doing my little bit so to speak. 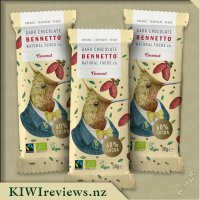 The packaging on the bennetto drinking chocolate bar is different to others I&apos;ve seen which I like, it stands out from the crowd so to speak. I simply loved the gold wrapper and the instructions being inside, it reminded me of charlie and the chocolate factory, being a little kid and finding a golden wrapper like some hidden treat. Being the size they are, they are great for storage in my house and also perfect to add to gift bags or small hampers of glorious treats. A product I hope to see in the supermarket where I can easily and readily buy. Definitely one I will purchase again to enjoy the beautiful sweet taste and one I recommend to others. 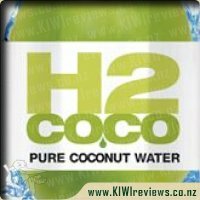 I purchased some of these drinking chocolate bars via KIWIreviews as I missed the call for reviewers when they were offered. I was really excited about them and could not wait for them arrive. While waiting I decided to read the reviews to get a feel for what it was I had bought, and in doing so, thanks to the reviews and the comments from Lucy in the discussions area I had some tips on what to do for when the bars arrived. I had purchased four in total, so figured I had enough to make the perfect hot chocolate. I love the packaging of these bars, and think they are beautifully presented. I was a bit confused at first, as there is no instructions on the wrapper, other than melt me in hot milk. So I was glad that I had read everything on here first, thinking that was lucky, coz if I had not of, I would not have had a clue how to make the hot chocolate, other than what common sense would tell me to do. Yes it says melt me in hot milk, but do you heat the milk first then add it? add it then heat the milk? However, when I peeled open the lovely wrapper, there between the wrapper and gold foil in the instructions...How awesome is that! I actually really loved that to be honest. So the first bar actually ended up being split in half...half to taste test as is and half for the milk. Oh my lord, the chocolate on its own...amazing! In fact it doesnt even compare to anything I have ever had before...I absolutely love it! I added it to the pan of milk and was thrilled to discover that my kitchen was engulfed with memories of my childhood and my mum making hot cocoa/chocolate on the stove. The smells through my home...amazing! I whisked away and then poured into the glasses. For how strong the chocolate is on its own, I expected a very strong and flavoursome hot chocolate...but nope its extrememely mild in taste. You really do need the whole bar to make just one drink. However I love it! It is my favourite hot chocolate. Truly the best. The kdis also enjoyed it, and I can not wait to buy more. I was so excited to be given the chance to try this hot chocolate. I had seen them around but could never justify the price for a hot chocolate (however on evaluating this decided that if it was a nice drink and I could get 3 out of the one bar it would be cheaper than cafe hot chocolate). I had read a few reviews before getting to try this and took on the advice of many about the way to melt the chocolate. I could not help myself and have a nibble of the chocolate before melting it. I normally make hot chocolate with just hot water but thought that I would use milk to make it extra rich. I heated the milk in the microwave and then added 2 of the 3 pieces of chocolate. I stirred and it melted most of the way so put back in the microwave for a bit longer. I was really disappointed with the lack of taste so put the 3rd pieces in and melted it. I was once again disappointed that it did not increase the chocolate taste much - if I had more pieces I would have kept adding. Ok so my overall feeling for this hot chocolate is that it&apos;s not for me as it would cost me a fortune to make it strong enough (maybe I am just too used to a strong hot chocolate), however if I was given a bar again I would not turn it down but probably just eat it as chocolate, as it was yummy like that. We love hot chocolate in our house it&apos;s one of those mid winter end of a long day treats. It&apos;s really hard to find a decent hot chocolate though and usually we stick to the Nescafe one for out coffee machine. 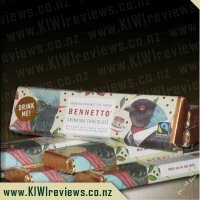 When the Bennetto Drinking Chocolate Bar came up for review I was really keen to try it. I love the fact it&apos;s fair trade! When it arrived I was super excited to try reading the instructions it seemed easy to whip together. I love it gives you advice how strong to make it, 1 for mild 3 for strong. As my husband was keen to try it too we decided to go in the middle and made up the whole bar with two cups. After reading others reviews I decided to heat my milk in a pot instead of the microwave. When the milk was half heated I added the chocolate, as the milk heated the bar melted making a creamy smooth drink. next came the all important taste test. First off I tasted it just the way it was but found it too bitter for me so I added a little sugar. Once I did that it was the perfect drink and I was in love! It was so rich, creamy and decadent! It was so good and as we got two drinks out of the bar I find it really good value for money I pay a lot more than that for a decent hot chocolate at the local cafe. 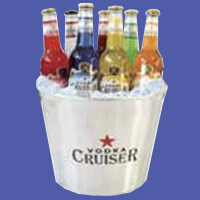 I make up a lot of gift baskets as gifts and Bennetto Drinking Chocolate Bar would be perfect to add to these. I&apos;m one of those chaps for whom a cup of Hot Chocolate should actually look like Chocolate - rich in flavour, velvety and dark brown and not those anaemic looking brews that many cafes try to palm off on one - you know the type - looks like ordinary milk with just the merest shade of slightly off-white. In short, if the hot chocolate has a similar pallor to my cadaverous looking skin, it is to be rejected. As hot chocolate goes, this isn&apos;t a cheap product and is very much a luxury item but if you look at the costs, for $6 you can get a cheap but foul brew from a cafe where they are extremely stingy on the chocolate or you can spend $6 and get a luxurious brew. I know what I would rather. Although not vegan or suffering from a dairy allergy, I don&apos;t get on with cow juice and so I must be the only one of the reviewers to have tried this product with Oat Milk. The milk was heated up in the microwave, the bar broken into chunks and dropped into the mug and stirred until fully dissolved. On reading the other reviews, I don&apos;t think I heated the milk enough because I did get some undissolved particles floating on the surface but this did not detract from my enjoyment of the hot chocolate. Next time, I will have to ensure I heat the milk until steaming and then chuck in the chocolate chunks and perhaps re-nuke a little more. The hot chocolate was, as promised, rich and chocolatey, smooth, velvety and absolutely decadent. It&apos;s probably not the sort of product I would keep in the house all the time - but the sort of product I will buy when I want to spoil myself with the good stuff - and good chocolate is hard to find. It&apos;s probably not the sort of product I would want to share with my nearest and dearest (I am mean and self-centred when it comes to chocolate - I just don&apos;t share). In the comments below, I see Lucy the Chocolate Bar maker has suggested some recipes - and this is something I would be keen to try - Everyone is doing Chilli and Chocolate, but the hint of chai spices is perhaps something Bennetto should consider as a range extension. All in all, this is a great concept, a great product and I do look forward to being able to buy this in local stores rather than mail-order - or even in my local cafes. My first reaction when I was handed this bar, was absolutely besotted with the packaging. The gorgeous colourful birds, dressed in human clothes, The leaves, and cocoa beans and the gorgeous embossed gold dots. Even the gold embossed "Drink me!" which gave me an Alice in Wonderful feeling. The design of the sleeve was absolutely brilliant. I would love to get my hands on a print of the design elements! I looked over the packet when I got home, and it seemed to direct me to open the sleeve up to find the instructions printed inside. I did this, but the inside of the sleeve is blank. I was confused, but then I saw a little slip of paper that has the instructions on it. Despite momentary confusion, the instructions were pretty easy to follow. I unwrapped the bar, and marveled even at the embossing on the bar itself. Loved it! Again, with the "Drink Me!" which nicely tied in with the wrapper. In a microwave safe jug, I added two cups of trim milk. I then heated this for 2 minutes, added two of the blocks of drinking chocolate. Then I gave it another minute in the microwave. I used a whisk to combine the milk and drinking chocolate and this worked really well. I didn&apos;t get floaty bits in the drink, though when I left the drink for any length of time the chocolate formed a darker skin on top of the drink which I could easily combine again. It reminded me of the many drinks I have had at The Chocolate Lounge, so I believe it is just a thing that solid chocolate does when mixed with hot milk. I served cups of this drink to several visitors. My husband said that it was like a drinking cocoa but it was a lot smoother to the taste. My friends agreed. They felt it would suit someone who doesn&apos;t like an overly sweet hot chocolate. They said that it had a good flavour and a good texture too, different to anything else they had tried. My children both happily guzzled a little cup each as well. With the remaining drink, I added some cinnamon as recommended to me. The flavour of the cinnamon was a welcome addition and it really made the drinking chocolate pop. When I mentioned the price per bar to our visitors, they were not too keen, but they don&apos;t tend to buy many luxury products. They agreed it would make a fantastic gift addition. I personally think the price is not too bad. The product is gluten free and vegan friendly which is hard to achieve. The product is fair trade too, which matters to me. Wherever possible I will spend the extra to make my dollars count for fair trade. 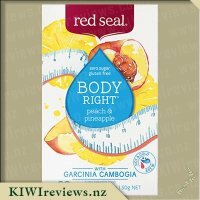 This is an awesome product and I would happily purchase it again for myself for a treat or as a gift. Holding this little bar of chocolate in my hand felt very different to the standard container of drinking chocolate. I had been warned it was good and I was really looking forward to tasting it. The packaging is impressive and looks very classy. It would make a lovely gift as well as something to enjoy at home. When I took the chocolate out of the beautifully designed sleeve, a little slip of paper came out with the simple instructions on it. It was rather delightful. I can&apos;t drink milk and I usually give up on making my own hot chocolate drinks with soy milk as I don&apos;t like the flavour of soy milk. Hot water and the drinking chocolate powder is the usually way I have to go. Not that exciting really! As the Bennetto Drinking Chocolate specified that it needed to be melted in hot milk, I chose to give the soy milk another chance. The bar is nicely divided into three potions and gives the option of choosing how strong you want the drink. I think that an ideal way of testing this product would be to have two bars to test at once. With access to two bars, it would be possible to test weak (1 segment), medium (2 segments) and strong (3 segments) options of the bar. I had heard through other people who have tried the drinking chocolate bar that is can be hard to get it to melt properly and to mix in with the milk. With in mind, I decided to try grating a segment for my first test of the drink. It grated nice and easily. I did find that I needed to grate it onto a good sized plate as the little precious bits of chocolate went flying everywhere otherwise. I heated and frothed my milking in my Nespresso Aeroccino (milk frother). I then added the grated chocolate to the milk, mixed it up with a plastic spatula. This allowed the milk to cool a little and I then press the button on the Aeroccino again to give it a final heat, mix and froth. The final product was fluffy and well mixed. The taste was ok but I could still taste the soy milk through the chocolate. I obviously needed to take it to the next level. I began to repeat the process a second time. I quickly realised that I wouldn&apos;t want to have to grate the chocolate if I was to use this product regularly. I deduced to try roughly chopping the chocolate with a knife. After the first heating and frothing of the milk, I added the chocolate as before. I needed to mix is a bit more this time but not excessively. After the second heat, I was left with a tasty fluffy product and I couldn&apos;t taste the soy milk. I topped both tests off with a little grated chocolate and I think that it made it look pretty fancy. Success all round I think! I think that I would really enjoy the version with three segments in it as well. I think that I could go as far to say that it is the best hot chocolate I have tasted at home or at a cafe. It wasn&apos;t horribly sweet as the ones in cafes can be and it wasn&apos;t my usual watery hot chocolate with powder which is mostly sugar in it. I visited the website as part of my research into Bennetto. I found that it was a little unusual to navigate and I scrolled up and down a number of times before I saw the red arrows on the right hand side to allow me to read more about the topic I was interested in. Once I got into the flow of the site, I found that it was very interesting. It is definitely worth a read if you are going to try this chocolate as it gives you a better idea of the background of the chocolate and the company. I love the fact that this drinking chocolate is real dark chocolate and so much better for me than your standard sugary chocolate drink. The Bennetto Drinking Chocolate bar is 9.7g of sugar, 5.8g of saturated fat, 640kj of energy per serve (this is for the full bar - if only having 1/3 or 2/3 of the bar for your serve, it would reduced the quantities by 1/3 or 2/3). I liked the drink using 2/3 of the bar - therefore the facts for my sized serve would be approx 6.2g of sugar, 3.8g of saturated fat, 426kj of energy per serve I started to look into a comparison between this bar and other drinking chocolate options we have at home. It all got a little confusing at is depends on whether you add sugar, milk etc to the different options. I am going to stick with the idea that this would be a treat for me if I was to drink it so I would just sit back and enjoy it!! From the website, I see that you can buy the bars by the box of 25 and it works out to be quite reasonable per bar - it is $58+GST for a box (plus shipping). I would consider buying them this way and perhaps sharing a box with other friends. I see that the price for an individual bar is around $6. 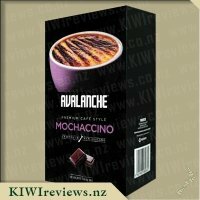 This price is a little on the high side, however as I said above, I think that it is the best hot chocolate I have ever tasted so I think that you have to pay for quality products and therefore the price is fair. I would only see this as a special treat rather than an everyday option and therefore could live with the price. I loved the look of this drinking chocolate bar. The packaging is very unique and stylish and had me expecting a quality product. I firstly looked at the Bennetto website which is very stylish also! 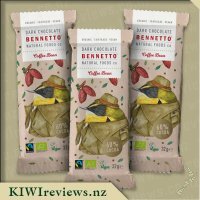 I loved the layout and the photos and it was interesting to read about how this bar of Bennetto Drinking chocolate came to be. 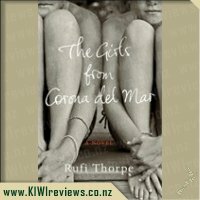 I was interested to see that it only appears to be stocked in store in Christchurch at present so my options to buy would be by the box, rather than an individual bar, given that I am in the North Island. Hopefully this will change. So onto the product. The packaging is beautiful and I loved the little instruction slip though thought it a tad unnecessary and perhaps a waste of paper from a product that is Fairtrade and organic? Having read the reviews posted already and the comment from Bennetto I decided to heat my milk in a cup in the microwave whilst nibbling on half of the three squares of the chocolate. The bar comes in one bar with two break points. I had to force myself to stop as on its own I thought this tasted divine. I would definitely devour this as a bar of eating chocolate as I loved the softness of the taste which was far meltier than I would have expected from a 70% chocolate. The drinking chocolate I usually have is a Fair trade dark organic chocolate powder so I was interested to see how this would compare. Having heated my milk I then poured it out of the mug into a frother put the bar back in the mug where it was already starting to melt from the heat and zapped it for another 10 seconds in the microwave to get it soft. I then added my frothed milk, slowly stirring constantly to blend the chocolate into the milk. This worked pretty well and the chocolate blended in without too many bits forming. It didn&apos;t blend perfectly however and was a much weaker chocolate taste than I had expected (or liked). Having said that although it wasn&apos;t as chocolaty as I would have liked this was a very nice hot chocolate and I enjoyed the fullness and the aftertaste, I felt very satisfied when I had finished my cup and very warmed by it. A lovely touch of luxury on a cold night. This is a lovely product and being gluten free is a bonus. Note that it may contain traces of nuts or soy. Overall I think I liked the chocolate better as a bar to eat but as a hot chocolate this was a really nice treat. I wouldn&apos;t buy this to have as a nightly hot chocolate (unless I was rich....) but think that these bars with their beautiful packaging would be perfect in a gift hamper i.e for Christmas for friends or family or for a business to use in corporate gift baskets, real estate agents in their baskets etc. and if you want a little something as a treat or pick me up for a friend. Every night my girls and I have milo with cream and marshmallows - its our nightly treat. When I read about the Bennetto Drinking Chocolate Bar I was so excited. I had planned to let all 3 of us have a taste of it. I was rather shocked when I opened it and only found 3 pieces. The instructions said 1 piece for mild and 3 pieces is strong, so I assumed it would be small chocolate squares and there would be plenty over a couple of nights. I personally do not find Milo very chocolately that is why I add the extras so was eager to trial this and find out if my taste buds would explode. Upon opening the packet there is a small slip of paper which has the instructions. I thought that was cute but wonder why they just didn&apos;t put it on the outer packet. I had read on KIWIreviews some recommendations about heating the milk to near boiling before giving a good stir. So I put my mug in the microwave and heated for 1 minute. I then broke the chocolate up - just the one brick - and stirred for a while. It kinda went flaky and noticed the bar was not breaking down a lot so put back in the microwave and heated for another minute. It came out nice and dark and smelt like coco yummy. I gave another stir and sat down. Best part - I had nothing left in the mug afterwards. I was concerned it was going to be too milky but I need not have worried this was so chocolately and fantastic - I loved it. I drank half of it and then decided it needed the cream and marshmallows still. I think this is fantastic. One bar is definitely all that is required and it tastes better than Milo any day. I would definitely buy again if I feel like donating to a good cause, being a Fairtrade product. 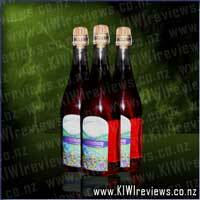 But I note that you can only buy in Christchurch stores and if I wanted to buy in bulk it is extremely expensive. So if in Christchurch and stumbled across it I would probably buy a couple of packets. I am a big fan of a good hot chocolate as are my chocolate mad kids so I knew this would be something we would all enjoy. We often pop out on a sunday afternoon if the kids have been gone and have a hot chocolate and a muffin at our local cafe so can pay about $5 for a good hot chocolate so the price of these isn&apos;t too bad. Especially considering the quality of the ingredients being 70% cocoa and you can really tell with the intense chocolate flavour. Also it is really nice to know the cocoa beans are fair trade which is something I like to support. 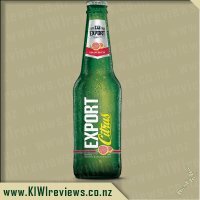 For some reason the bar I received didn&apos;t come with instructions, but luckily the instructions were printed clearly on the KIWIreviews website. I think maybe the instruction sheet had fallen out of the sleeve of my bar. I went with the option of heating the milk in a saucepan to make the hot chocolate, once the milk was near boiling I added the whole bar of chocolate minus a little nibble I had to taste while I was waiting for the milk. I found it took a lot of stirring to get the chocolate to melt into the milk so we did have a lot of bits in our hot chocolate drink. I was aware I didn&apos;t want to burn the milk but it may of helped to heat the milk further to get the chocolate to fully dissolve. The &apos;bits" didn&apos;t really alter my opinion of the drink I was just left with a lot of melted chocolate bits at the bottom of my mug. The hot chocolate is so rich and chocolately just like a high quality drinking chocolate. You could really tell it had a high cocoa level as you could taste the dark chocolate flavour. 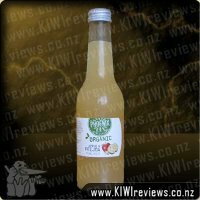 I probably wouldn&apos;t buy these all that often but I would buy them again as I did really enjoy the drink as did my kids. I thought they would be a great little quality item to put in a gift hamper at xmas so would probably be very likely to do this in the future. This was an interesting product. I&apos;m very familiar with drinking chocolate powder, but this was my first drinking chocolate bar. The wrapping was aesthetically pleasing, and it had a nice little instruction page inside of it (rather unnecessary really. I mean why not just print it on the outside? ), it all looked rather fancy. And really it is a fancy product, organic, fairtrade certified, vegan, no preservatives or artificial additives, this product screams high quality. But I found it rather difficult to prepare. Being a barista, I&apos;m aware that milk burns if it is heated too much, so I heated it as hot as I could without burning the milk, but the bar disintegrated into smaller shreds of chocolate. It failed to fully melt into a chocolate drink. Perhaps it was because the milk had cooled in the time that it took to to melt the chocolate. I found it was best to actually use some boiling water to begin with and then mix in hot milk after it has melted. The price is what would be expected. 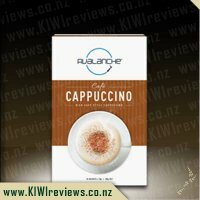 Slightly more expensive than a hot chocolate from a cafe franchise, it is not too pricey, but still high enough to prevent this from being a regular product in my shopping trolley. The serving size was my main issue. With the directions of 1 block for weak, 2 for moderate, and 3 for strong, I wasn&apos;t expecting only 3 blocks to be provided. I was expecting perhaps 6 blocks (6 weak drinks, 3 moderate, or 2 strong drinks). Instead I was faced with limited options, which was slightly frustrating as it made it difficult to test the full versatility of the product. But it is a nice creamy drink, once you get it fully melted. Smooth in texture. And the bar can still be eaten as a rather expensive chocolate bar, if you have an extra block.